12 Events You Can Not Miss On Your Blue Ridge Getaway This November! Wednesday-Saturday, November 7 - 10, 7 p.m. Opening Reception on November 17th from 6 p.m. to 9 p.m. The Holiday Show and Sale will be open Tuesday's through Sunday's from 10 a.m. to 6 p.m. through January 4th. The 5th Annual 'WhoDunIt?' Beginning at 6:00 p.m. This is a rare opportunity to get amazing artworks from sought-after local and regional artists at an incredible price! Each $50 ticket guarantees you going home with an original piece of art. This is an event with fantastic art, delicious food, live music and lots of fun! 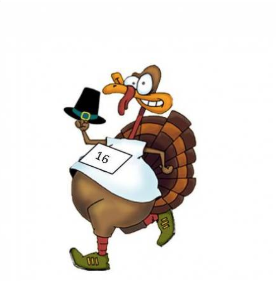 Join us downtown for the Blue Ridge, Georgia Turkey Trot Race/Walk Thanksgiving Day, November 22nd! The race is for the whole family and all abilities from walkers to the serious competitor. Don’t worry you will be home in time to put the turkey in the oven! Now let’s get trotting! Bring a canned food item for the Good Samaritans food pantry! Our small mountain town version of "Black Friday" but with upscale cool unique shops and galleries as well as those great mountain crafts. 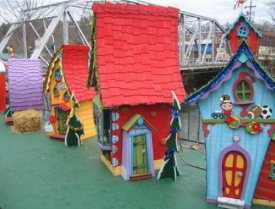 Strolling Christmas characters, live music and more. Stop for coffee or a cup of tea in the morning to plan your shopping strategy. Be sure to plan to have lunch in one of our many one of a kind restaurants located right down town. Find that perfect gift that no one else got them. Hang around and join us for town wide caroling starting at 6 p.m. Please be sure to plan on being here for Light Up Blue Ridge the next day as well! Lots of family fun. Heart warming classic. At the Macy's Department Store Thanksgiving Day parade, the actor who is playing Santa is discovered to be drunk by a whiskered old man. The special events director convinces the old man to take his place. He is very properly and is quickly recruited to be the store Santa. He calls himself Kris Kringle and claims to actually be Santa Clause. Thursday through Saturday at 7:30 p.m. Sunday's at 2:00 p.m. The GREAT TREE is back! It is 27 foot tall, a sight that will WOW children and adults alike. Friday is BLUE Friday, when all merchants will be offering discounts and the downtown area will be filled with live entertainment throughout the day. 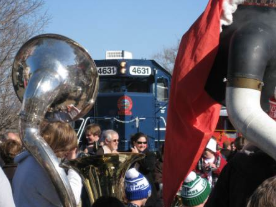 A full day of fun begins on Saturday when Santa arrives on the train approximately 11:00 a.m. Santa will be in the park from 12:30 to 4:40 p.m. for visits with the kids. Parade will begin at 5:30 p.m. with lighting of the Great Tree at 7 p.m. 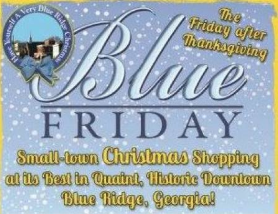 The day of Blue Friday and Light Up Blue Ridge will be full of strolling Christmas characters, food vendors and entertainment in the park. Friday evening, November 23rd (Blue Friday) you are encouraged to join us for town wide caroling starting at 6 p.m.
Saturday, November 24th and every Saturday in December through December 15th you will find strolling Christmas characters and entertainment around town and in the park. Saturday, November 24th parade will start at 5:30 p.m. Everyone is welcome to be part of the parade and we are hoping you will add lights to your float. Great Tree lighting will be at 7 p.m. This year we are honored to have the 2016 Miss America winner, Betty Cantrell to sing "O Holy Night" at the lighting of the tree. Great time for the whole family. Firefly Music Blue Ridge is ecstatic to bring Miss America (and Miss Georgia!) 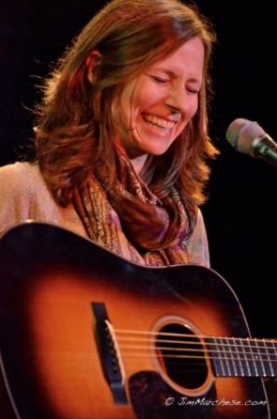 Betty Cantrell to perform LIVE in Blue Ridge on Saturday, Nov 24th! And as a special treat, Betty will be singing "O Holy Night" at the lighting of the Christmas tree for Light Up Blue Ridge! Don't worry though, we will allow plenty of time for y'all to attend the tree lighting and still get to the concert afterwards, which will be held right next door at Mercier Orchards new downtown location! Betty Cantrell instantly became America's sweetheart the minute she gave one of the most astounding opera performances in the rich history of the Miss America pageant, on her way to winning the crown and title of Miss America 2016. A huge accomplishment for someone who just 24 months prior had never entered a pageant in her life! Betty's family has deep roots in the military, and during her reign as Miss America she performed around the world for several USO Tours. Her recording and video of the song "Soldier On" reflect her values and heart for the military and the USO. So Firefly Music is proud to announce that proceeds from this show will benefit Project Healing Waters, which benefits wounded active duty service members and veterans! Come meet Miss America, listen to some incredible live music, and support a wonderful cause at the same time- what could be better! Get your tickets HERE now before they sell out! Bring the family out this Friday night November 30th at 6 pm for the city of McCaysville Christmas Tree lighting. Sponsored by Tri-State Electric and The City of McCaysville. Live Holiday Music and Hot cocoa and cookies for donations to Christmas for Kids. 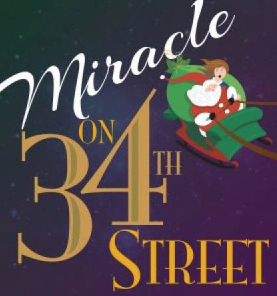 Located between the McCaysville Post office and City Hall, music starts at 5:45 with tree lighting at 6 pm. Cabin relaxation + River adventures + horseback riding + zipline tour + lack of cellphone use = great vacation!! Dear Hosts, thank you for sharing your gorgeous home with us. Three families had an amazing Christmas break with peace & quiet! The whole region is beautiful. We've made quite a few memories! We are already looking forward to coming back; possibly in the summer, to enjoy this scenic environment in another season! Thank you very much! !